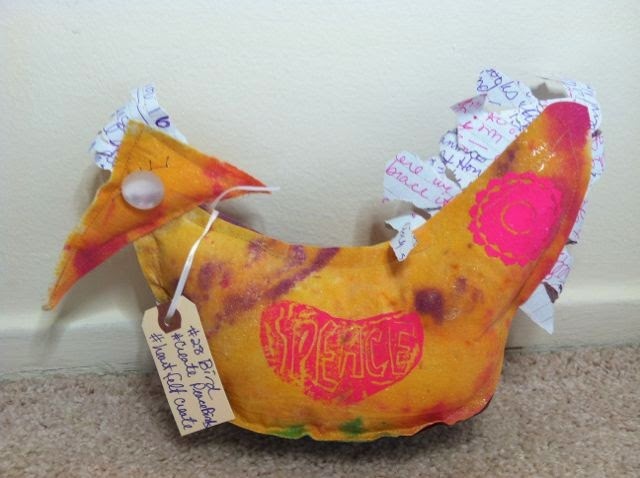 My artist friend, whom I often teach classes with, has started a new art project called #CreatePeaceBirds. 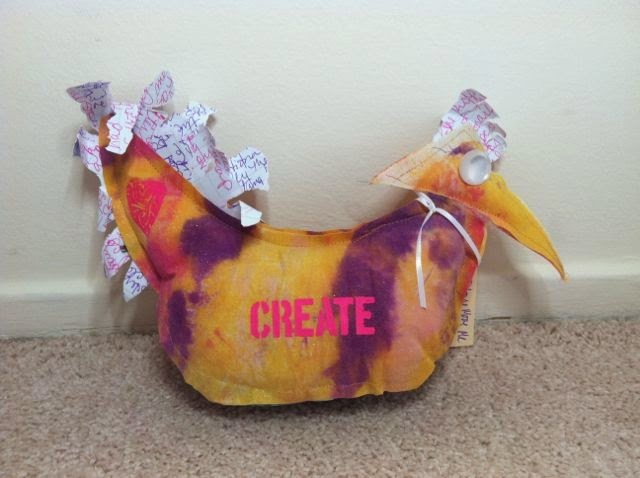 She designed and created more than 30 birds using hand dyed fabric and pages from her journals. She is giving the birds to friends and asking them to leave the piece in a public place. 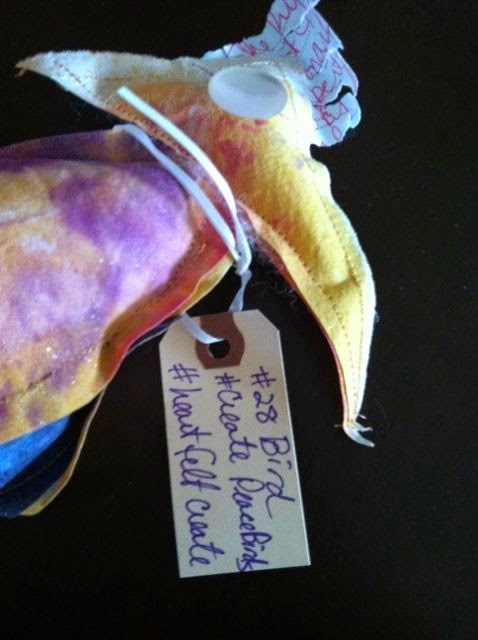 The bird has a tag that asks the finder to post on social media using #CreatePeaceBirds. 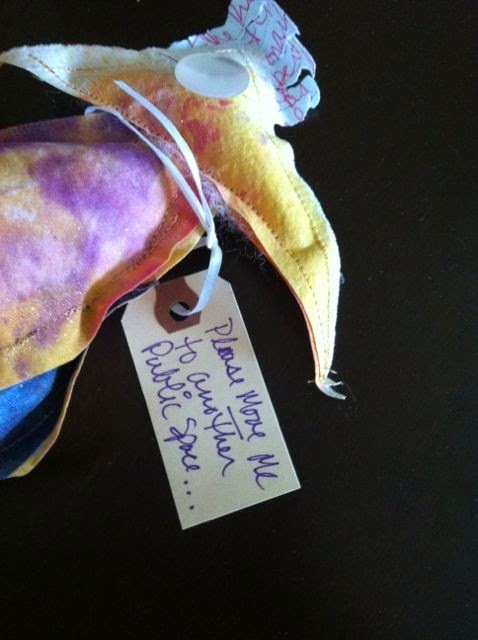 So far she has only had a few posts, but I think the reason is that her friends are hesitant to let go of their birds! I plan to release by bird (number 28) at a restaurant. After dinner, I want to leave the bird in my chair to be found by a waiter or by the next restaurant patron. I hope my bird finds many homes. This type of art project, which I think of as a kind of guerrilla art, is so interesting to me. It is similar to the 1,000 Journals Project by Someguy. I love the concept of releasing art into the world and being able to track it as it grows and passes through people’s hands. What would other people contribute? How could I still stay attached to the art through the use of the internet and social media? I am mulling over this idea, thinking about what message I want to send out into the world. What do you think? What type of piece could I create? How could I allow others to contribute thoughts or build upon the piece that I started? Let me know what you think. 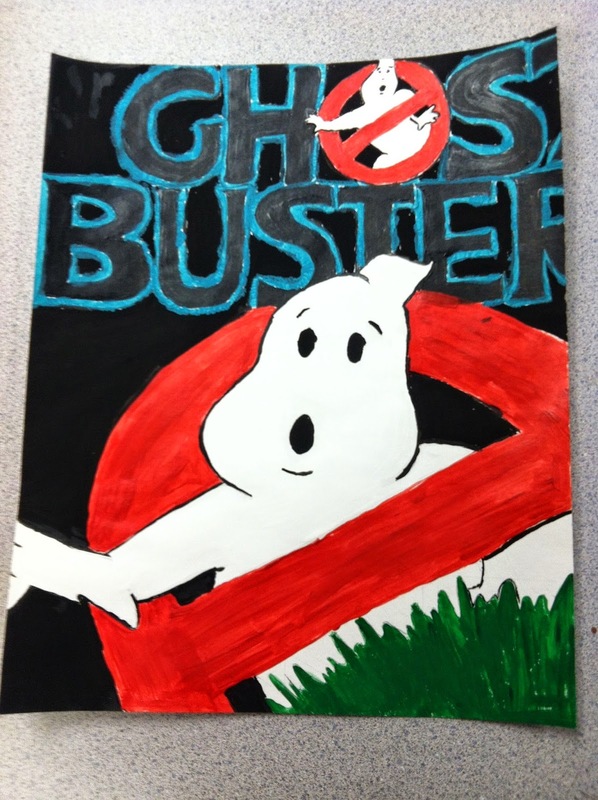 My friend is the art teacher at the junior high in my school district. 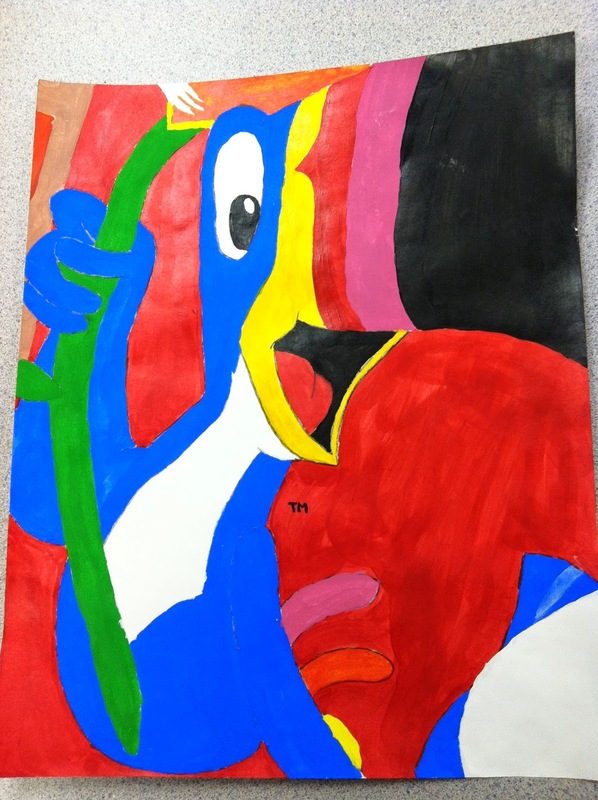 We talk a lot about the importance of art for young people and how to help them enjoy art as a creator and an observer. 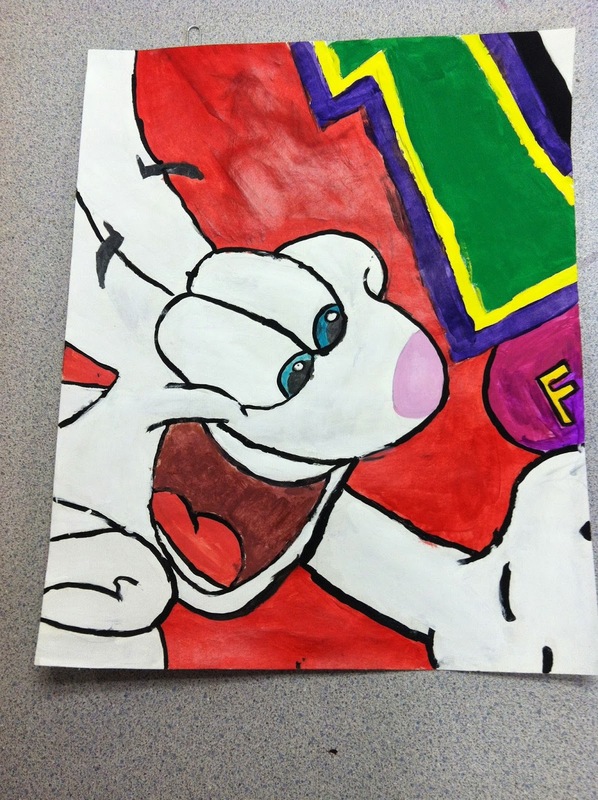 When my son took my friend’s art class, he made one piece that he still loves 5 years later. 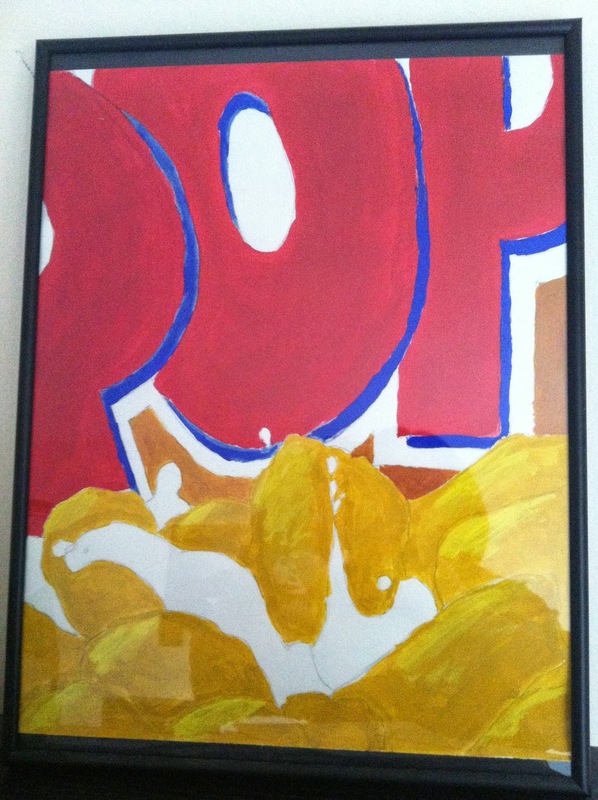 My son's favorite art piece. Here is the technique and some samples from a recent 7th grade class. the students copy the image with precision. 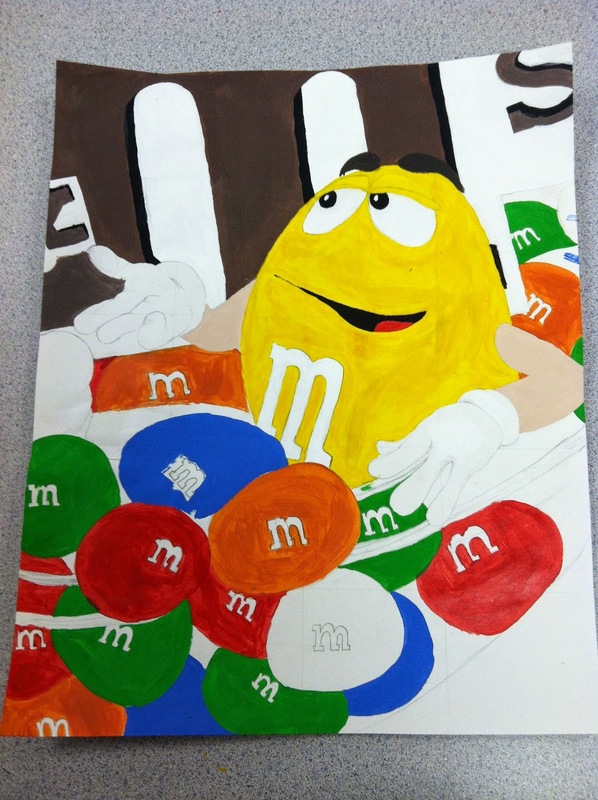 M&M's is an excellent choice! 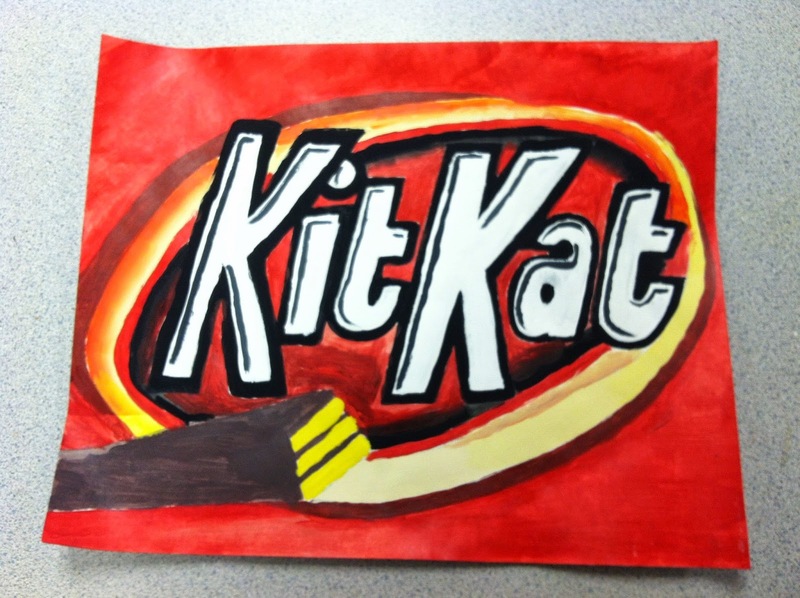 This is an art piece that I would like to create myself, but I haven’t decided which box or wrapper I would use. A fiber-rich cereal box just doesn’t seem like the right choice. Maybe a wine bottle label! Oh yeah, now we’re talking. 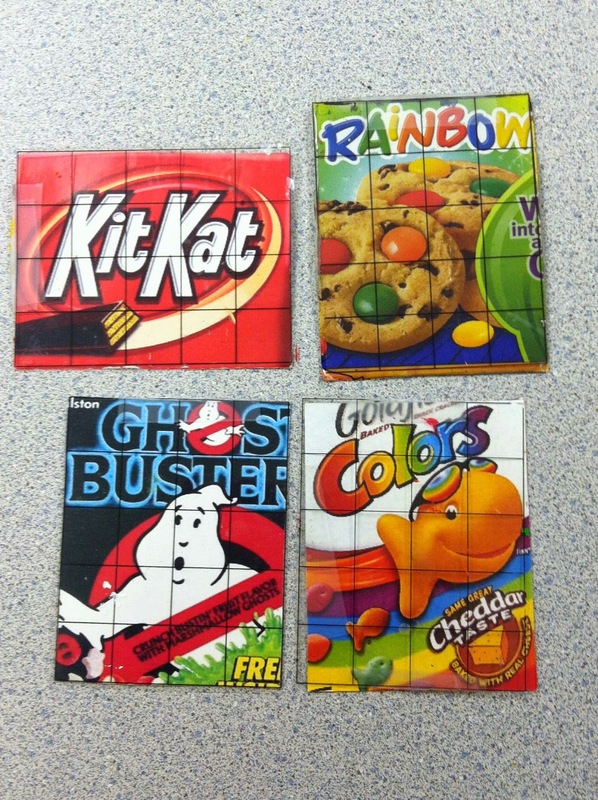 Which box, wrapper, or label would you choose? 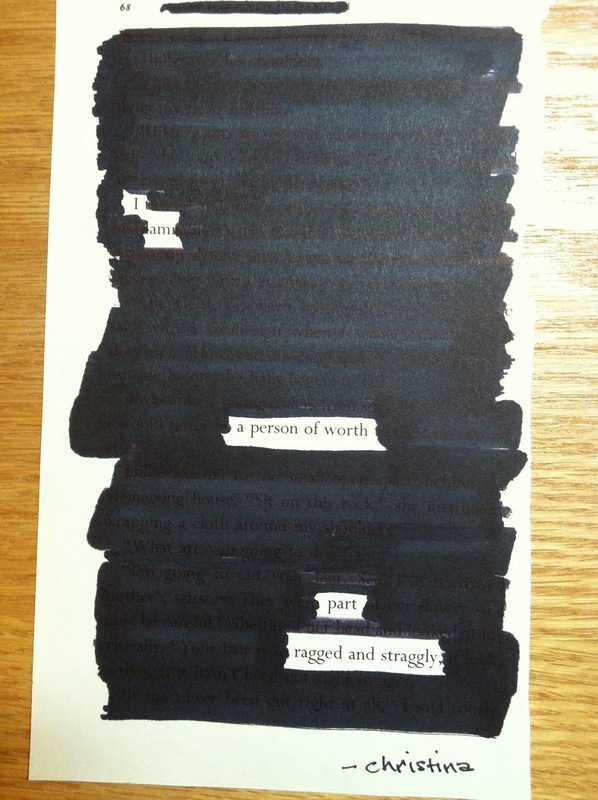 I only recently discovered blackout poetry when I bought the book Steal Like an Artist by Austin Kleon. 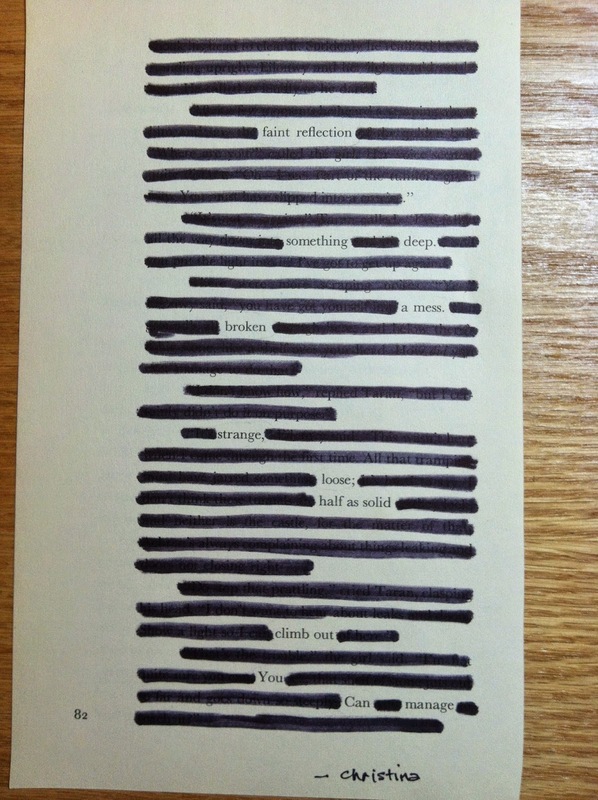 He posts his blackout poems on Twitter as do other people (#blackoutpoetry). I decided to try it myself using book pages and here are the results. This poem was created by my son's girlfriend. This was a challenging and fun exercise in creativity. For me it was much easier (and less intimidating) than writing a poem from scratch. 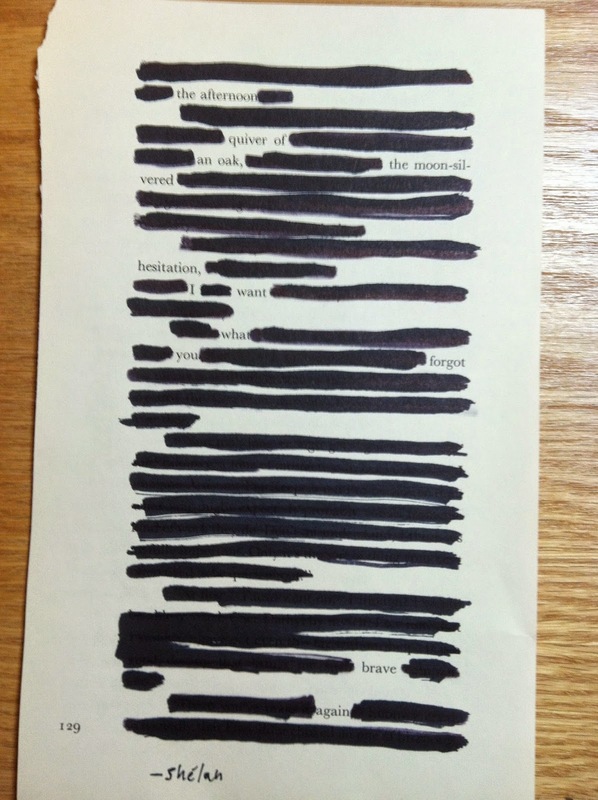 There is more blackout poetry in my future.